He ran social media for Saudi Arabia’s crown prince. He masterminded the arrest of hundreds of his country’s elite. He detained a Lebanese prime minister. And, according to two intelligence sources, he ran journalist Jamal Khashoggi’s brutal killing at the Saudi consulate in Istanbul by giving orders over Skype. Saud al-Qahtani, a top aide for Saudi Crown Prince Mohammed bin Salman, is one of the fall guys as Riyadh tries to stem international outrage at Khashoggi’s death. On Saturday, Saudi state media said King Salman had sacked Qahtani and four other officials over the killing carried out by a 15-man hit team. 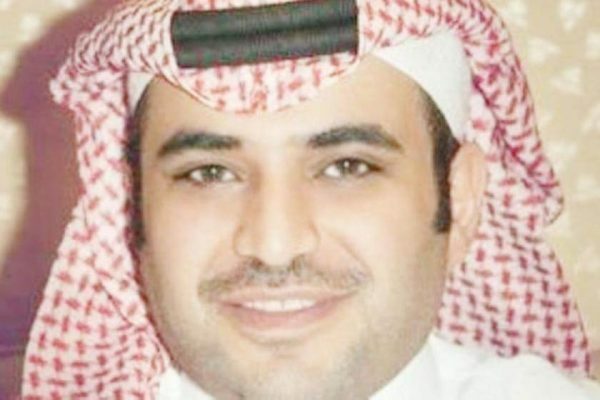 But Qahtani’s influence in the crown prince’s entourage has been so vast over the past three years – his own rise tracking that of his boss – that it will be hard for Saudi officials to paint Qahtani as the mastermind of the murder without also raising questions about the involvement of Prince Mohammed, according to several sources with links to the royal court. “This episode won’t topple MbS, but it has hit his image which will take a long time to be repaired if it ever does. The king is protecting him,” one of the sources with ties to the royal court said. Qahtani himself once said he would never do anything without his boss’ approval. “Do you think I make decisions without guidance? I am an employee and a faithful executor of the orders of my lord the king and my lord the faithful crown prince,” Qahtani tweeted last summer. Qahtani did not respond to questions from Reuters. His biography on Twitter changed in recent days from royal adviser to chairman of the Saudi Federation for Cybersecurity, Programming and Drones, a role he had held before. Prince Mohammed had no knowledge of the operation that led to Khashoggi’s death and “certainly did not order a kidnapping or murder of anybody”, a Saudi official said on Saturday. Officials in Riyadh could not be reached for further comment. As the crisis has grown over the past three weeks, Saudi Arabia has changed its tune on Khashoggi’s fate, first denying his death, then saying he died during a brawl at the consulate, and now attributing the death to a chokehold. A senior Saudi official told Reuters that the killers had tried to cover up what happened, contending that the truth was only now emerging. The Turks reject that version of the story, saying they have audio recordings of what happened. The kingdom has survived other crises in the past year, including the fallout of the crown prince’s short-lived kidnapping of Lebanese prime minister Saad al-Hariri in 2017. Hariri, too, was verbally humiliated and beaten, according to eight Saudi, Arab and Western diplomatic sources. The man leading that interrogation: Saud al-Qahtani. France intervened to free Hariri, but Western capitals did not take Riyadh to task for detaining a head of government – and Prince Mohammed emerged emboldened, according to these Saudi sources. This time is different, with some Western capitals increasingly critical of the murder and the Saudi explanation. President Donald Trump has swung between saying he is unhappy with the Saudi investigation but also that he does not want to jeopardize U.S. arms sales to the country. To stem the fallout of the Khashoggi killing, the crown prince, commonly known by his initials MbS, allowed Qahtani to take the fall, according to one source close to the Saudi royal court. A second senior Saudi official said Qahtani had been detained following his sacking by royal decree, but he continued to tweet afterwards. The sources with links to the royal court said he was not believed to be under arrest. In the Khashoggi killing, Qahtani was present as he has been in other key moments of MbS’s administration. This time, though, his presence was virtual. Khashoggi, a U.S.-based Saudi journalist often critical of Saudi Arabia and its leadership, walked into the Istanbul consulate at around 1 pm on Oct 2, to pick up some documents that would allow him to marry. Turkish security sources say he was immediately seized inside the consulate by 15 Saudi intelligence operatives who had flown in on two jets just hours before. According to one high-ranking Arab source with access to intelligence and links to members of Saudi Arabia’s royal court, Qahtani was beamed into a room of the Saudi consulate via Skype. He began to hurl insults at Khashoggi over the phone. According to the Arab and Turkish sources, Khashoggi answered Qahtani’s insults with his own. But he was no match for the squad, which included top security and intelligence operatives, some with direct links to the royal court. A Turkish intelligence source relayed that at one point Qahtani told his men to dispose of Khashoggi. “Bring me the head of the dog”, the Turkish intelligence source says Qahtani instructed. It is not clear if Qahtani watched the entire proceedings, which the high-ranking Arab source described as a “bungled and botched operation”. The Arab source and the Turkish intelligence source said the audio of the Skype call is now in the possession of Turkish President Tayyip Erdogan. The sources say he is refusing to release it to the Americans. Erdogan said on Sunday he would release information about the Turkish investigation during a weekly speech on Tuesday. Three Turkish officials reached by Reuters declined to comment ahead of that speech. The senior Saudi official who laid out the official version of events – that Khashoggi had got into a fight – said he had not heard about Qahtani appearing via Skype, but that the Saudi investigation was ongoing. Qahtani, 40, has earned a reputation at home as both a violent enforcer of princely whims and as a strident nationalist. In blogs and on social media, some liberal Saudi journalists and activists dubbed him the Saudi Steve Bannon for his aggressive manipulation of the news media and behind-the-scenes strategizing. Qahtani wrote odes on Twitter to the royal family under the pen name Dari, which means predator in Arabic. Some of his opponents on social media call him Dalim, a figure in Arabic folklore who rose from being a lowly servant to much greater heights. According to his biography on his Twitter account, Qahtani studied law and made the rank of captain in the Saudi air force. After launching a blog, he caught the eye of Khaled al-Tuwaijri, the former head of the royal court, who hired him in the early 2000s to run an electronic media army tasked with protecting Saudi Arabia’s image , according to a source with ties to the royal court. Tuwaijri is under house arrest and could not be reached for comment. Tasked with countering alleged Qatari influence on social media, Qahtani used Twitter to attack criticism of the kingdom in general and Prince Mohammed in particular. He also ran a WhatsApp group with local newspaper editors and prominent journalists, dictating the royal court’s line. When Riyadh led an economic boycott against Qatar in June 2017, Qahtani ramped up his attacks on the small Gulf state. Online, he urged Saudis to tweet the names of anyone showing sympathy with Qatar under the Arabic hashtag “The Black List”. The high-ranking Arab official and Saudi sources with ties to the royal court said Qahtani was MbS’s “bad cop” late last year when 200 people, including Saudi princes, ministers and business tycoons, were detained and put under house arrest at the Ritz Carlton in an anti-corruption sweep. Qahtani oversaw some of the interrogations, the Arab official said. The extent of Qahtani’s power is perhaps best illustrated by the kidnapping of Lebanese Prime Minister Saad al-Hariri last year, several of the Saudi and Arab diplomatic sources said. The Saudis were incensed at the inability of Hariri, a Sunni Muslim and a Saudi client, to stand up to their regional rival Iran and Hezbollah, the Shi’ite paramilitary movement that acts as Tehran’s spearhead in the region. Hariri belonged to the same multi-party coalition government as Hezbollah. The Saudis were particularly dismayed that Hariri had failed to deliver a message to a top adviser to Iranian Supreme Leader Ayatollah Ali Khamenei, to stop interfering in Lebanon and Yemen. Hariri claimed he had delivered the Saudi message, but an informer, planted by Qahtani in Hariri’s circle, gave the Saudis the minutes of the meeting which showed that he had not done so. The Saudis lured Hariri to Riyadh for a meeting with MbS. Upon his arrival on Nov. 3, 2017, there was no line-up of Saudi princes or officials, as would typically greet a prime minister on an official visit. Hariri later received a call that the meeting with the crown prince would take place the next day at a royal compound. When Hariri arrived, he was ushered into a room where Qahtani was waiting for him with a security team, according to three Arab sources familiar with the incident. The security team beat Hariri; Qahtani cursed at him and then forced him to resign as prime minister in a statement that was broadcast by a Saudi-owned TV channel. Another source said it was the intervention of French President Emmanuel Macron that secured his release following an international outcry. Macron claimed credit in May for ending the crisis, saying an unscheduled stopover in Riyadh to convince MbS, followed by an invitation to Hariri to come to France, had been the catalyst to resolving it. Lebanese officials confirmed to Reuters that Macron’s quick intervention secured Hariri’s return. Saudi officials could not be reached for comment about the sequence of events or Qahtani’s involvement. French officials declined to comment when asked about Qahtani’s role. At least three friends of Khashoggi told Reuters that in the months after the journalist moved to Washington a year ago he received multiple phone calls from MbS’s right-hand man urging him to return to Saudi Arabia. Khashoggi had balked, they said, fearing reprisals for his Washington Post columns and outspoken views. Qahtani had tried to reassure the former newspaper editor that he was still well respected and had offered the journalist a job as a consultant at the royal court, the friends said. The second senior Saudi official confirmed that Qahtani had spoken to Khashoggi about returning home. The ambush in Istanbul seems to have been another way to get him home. How much did the crown prince know about his trusted aide’s plan to abduct Khashoggi? Most of the 15 hit-man team identified by Turkish and Saudi authorities worked for the kingdom’s security and intelligence services, military, government ministries, royal court security and air force. One of them, General Maher Mutreb, a senior intelligence officer, who is part of the security team of Prince Mohammed, appeared in photographs with him on official visits earlier this year to the United States and Europe. The high-ranking Arab official and the Turkish intelligence source said it was Mutreb’s phone that was used to dial in Qahtani while Khashoggi was being interrogated. Reuters tried to contact members of 15-man team but their phones were either switched off, on voicemail or no longer in service. The Saudi official said Deputy Intelligence Chief General Ahmed al-Asiri put together the 15-man squad from the intelligence and security forces. Asiri was one of the five officials dismissed on Saturday. Another key figure was Dr. Salah al-Tubaigy, a forensic expert specialized in autopsies attached to the Saudi Ministry of Interior. His presence – equipped with a bone-saw Turkish sources say was used to dismember the journalist – is hard to explain in an operation Saudi officials now say was aimed at persuading Khashoggi to return home. It is hard to imagine that the crown prince could have not known about such a delicate operation, the Saudi sources with ties to the royal court say. The Saudi official who spoke on Saturday said an existing standing order provided authorization to “negotiate” with dissidents to return home without requiring approval, but that the team involved with Khashoggi exceeded that authorization. Another Saudi official close to the investigation said that Qahtani decided on his own to organize Khashoggi’s kidnapping and that he asked Asiri to get a team together, but that their plans had gone wrong. Qahtani’s final act may be to serve his boss by assuming the responsibility for the crisis that has hit Saudi Arabia since Khashoggi’s murder. The Saudi king has sacked Qahtani and ordered a restructuring of the general intelligence agency. To head it, he named MbS.